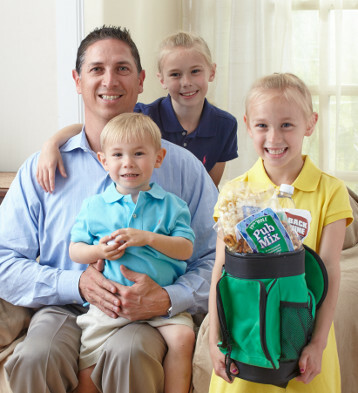 These hardworking superdads deliver smiles at work and at home! We’d like to introduce you to the 1800Flowers.com dads, whom we have the pleasure of working with every day. Here’s what they love best about being a father … and which truly original gifts would brighten their Father’s Day this year! In addition to heading up the franchising of 1800Flowers.com and two of our sister brands for the past eight years, Mark is also the head of a beautiful family with four active and absolutely adorable children. A mainstay in the 1800Flowers.com family for the past 18 years, Scott is also the dad of two girls and one boy—each smart, energetic and creative, yet truly original in their own way! A true numbers man, Abe uses reports and data to help 1800Flowers.com better deliver smiles to its customers. Abe is a fairly new member of our team: He’s only been with us for a year, but he’s been a father much longer. He has six children, all ranging in age from 21 to 8 … and they all inherited his great sense of humor! Always using his imagination to create new products for our BloomNet brand, Ted is also the proud father of two confident young boys, both of whom love playing lacrosse and other sports. As the voice of 1800Flowers.com, Joe is responsible for conveying the brand’s personality through his writing. He also has a 10-year-old daughter, Cassie, who has a fun and vibrant personality of her own. While keeping on top of the latest TV shows, movies, comic books and technology, Cassie also trains in mixed martial arts, plays the clarinet, writes her own stories and jokes, and plays video games like a pro! Score a Hole in One on Father’s Day With These Golf Gift Ideas for Dad!